The T.A. Teaching prize is awarded to outstanding Teaching Assistants. The award is given to a T.A. who has not only demonstrated superb teaching skills, but has also contributed to the operation of the lab or the recitations. For instance, special weight is given to those who serve as Head T.A.s, work on improving experiments, or contribute to the development of new experiments or new teaching materials. 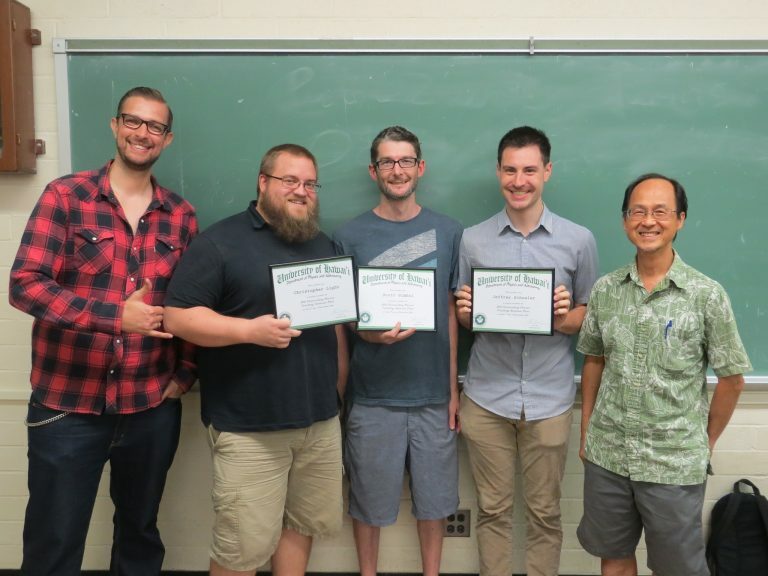 Fall 2016 TA Award Recipients: Christopher Light, Scott Gimbal and Jeffrey Schueler. 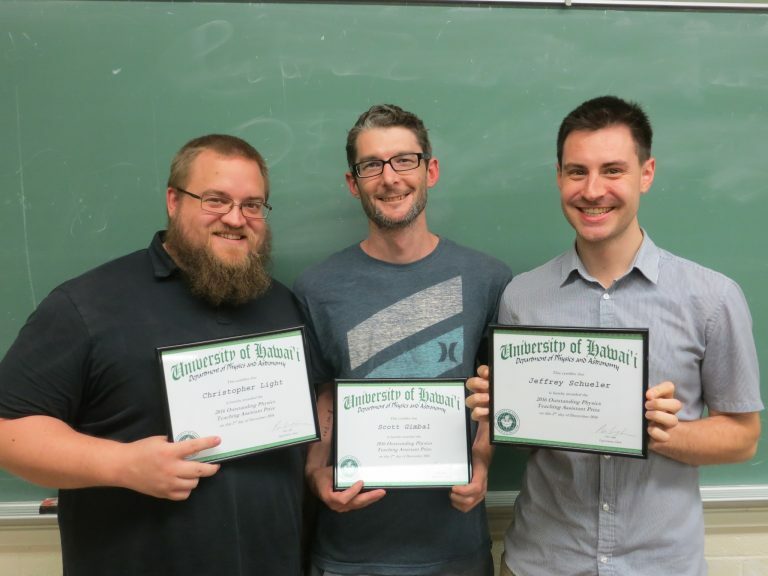 All three have served as Head T.A.s and have been crucial to the success of the new Physics 170 recitations. Prof. von Doetinchem and Prof. Lam congratulate the TA Teaching Awardees.